After our non-stop yet incredible days in busy, busy Ho Chi Minh, we booked some flights (obviously last minute, again. We WILL learn) and flew half way up the country to beautiful Hoi An. Tip #1: In-land flights are affordable and are operated predominantly by Vietnam Airlines and Jetstar (expected delays on most Jetstar flights aren't just rumours). You really want to book ahead as early as possible and you can score flights for as little as AU$30-50. 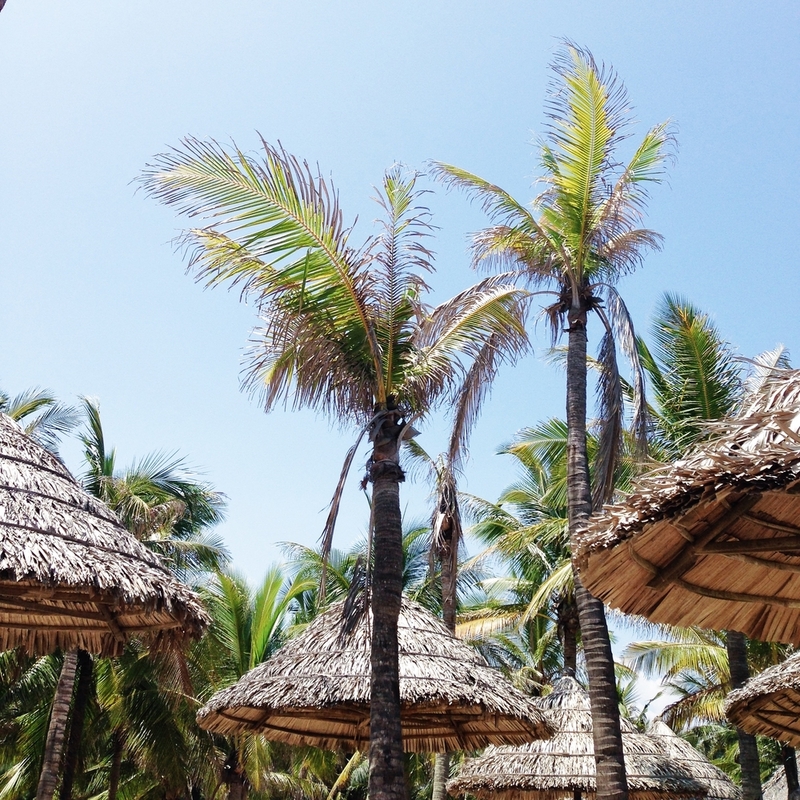 We managed to get a great deal through Agoda and stayed at the beautiful Hoi An Beach Resort. We were super lucky with this place as our resort actually owned part of the shoreline at Cua Dai beach. What this meant is that we could meander across the road after breakfast, drop down onto a lounge chair in the shade of a palm tree, and order all the fries (guilty. Every day.) and coconuts we desired. 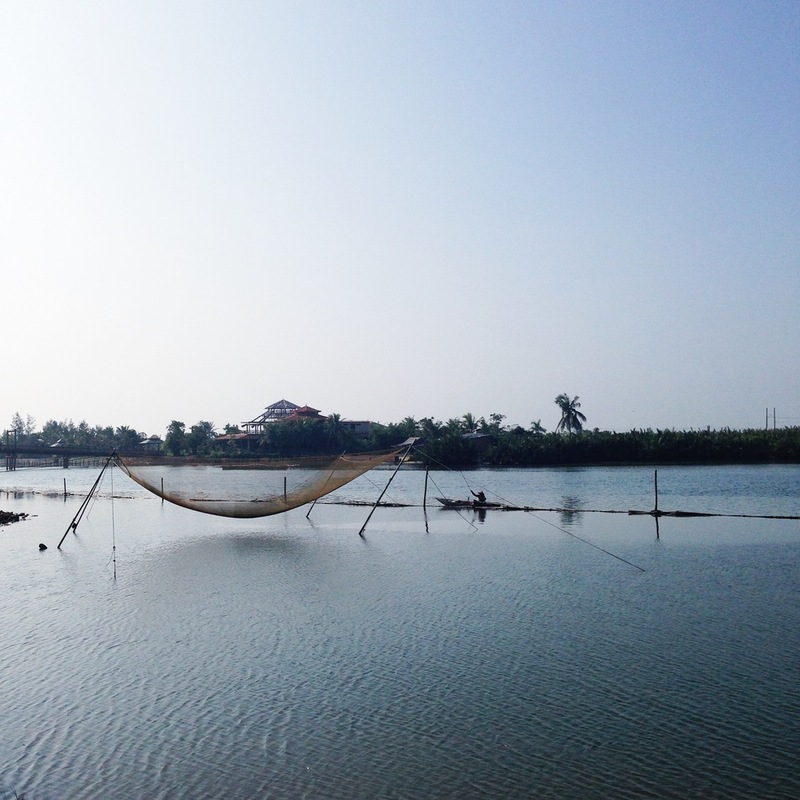 The 10 days we spent in Hoi An was truly relaxing and inspiring. We were constantly pinching ourselves that we got so lucky and swore to each other to say yes to more adventures. Most days consisted of reading/napping/sun baking by some sort of body of water, 3pm cocktails, exploring a new part of the area on bike, and at least one trip into Hoi An city. And a lot of food. I still cannot get over the fresh produce that was bursting with flavour or chilies hot enough to turn your whole body into flames. We ended up adding extra days about 4 times because we couldn't bear the thought of leaving this little piece of paradise just yet. Personally, I really love exploring new places by bike. Whether it is new cities or on the country side, it's so easy to explore and stop whenever you find something interesting. I just feel like you notice and take in so much more of a new place. Hoi An is great like that, especially if you can work out the hectic road system. Since this place in particular really depends on its tourist economy, 90% of the town's shops are filled with souvenirs and tailors. When walking through the streets, you're often invited in, but shop attendants were never too pushy. There were some incredible places to eat in Hoi An, and we were equally blown away by restaurants recommended to us and ones we just walked into. Rachel was really amazing throughout the trip and did the majority of the food research.TripAdvisor was pretty spot on and well used by travellers in Vietnam, so if all else fails, check that out. Scroll to the end for our recommendations. One morning we hired some bikes and set off before the heat set in to ride to Tra Que, an organic herb village just out of town. After getting lost twice and stopping at least 3 times to watch the water buffalo (!!!) hanging in the rice fields, we arrived when it was well hot and all plans of touring the place and maybe learning the traditional way of planting were lost and we ordered cold drinks and the usual papaya salad. This place was really serene, away from the busy street. So much quieter than the small, yet loud and bustling town, and as you ride along different rivers and fields you feel really consumed by your surroundings. This was definitely a highlight of our trip. The place also offers cooking classes, which looked delicious and fun, but I would book ahead for those. I just cannot recommend this place enough. We both wandered into this place not knowing what to expect and after being seated and ordering drinks we were blown away by the plates upon plates that were piled onto our small table. Dishes included Ban Xiao and traditional rice paper rolls that you make yourself with skewers, salads and nuoc cham (vietnamese dipping sauce). Also know that you won't be able to leave unless you finish your meal. The owners will be kind enough to roll the rolls and force feed you. After all of that and 2 servings of dessert the bill came to around AU$4. You'll be told to go here at least 3 times on your first day upon arriving in Hoi An, but I still felt I needed to mention it. Named after traditional Vietnamese dish, Morning Glory has a really great atmosphere and offers all of the traditional dishes you need to eat in Vietnam. Be sure to book ahead before you go here and also order the roasted eggplant. You will not regret it. They also offer cooking classes that you can book online. Tucked away in a more residential area out of Hoi An city, it is a great place to unwind in the afternoon with a coffee and home made cake by swedish co-owner, Mia. I can whole heartedly recommend their chocolate cake. Beans are sourced locally and grown in house and the owners are really friendly. Hoi An is also well known for their local dish Cao Lao, a thick noodle dish with minimal sauce. Traditionally the water used to make this soup came from a little well outside of town. Another one to try are the White rose dumplings. After putting together the posts on our trip to Vietnam I decided to turn the 2segments into 3. 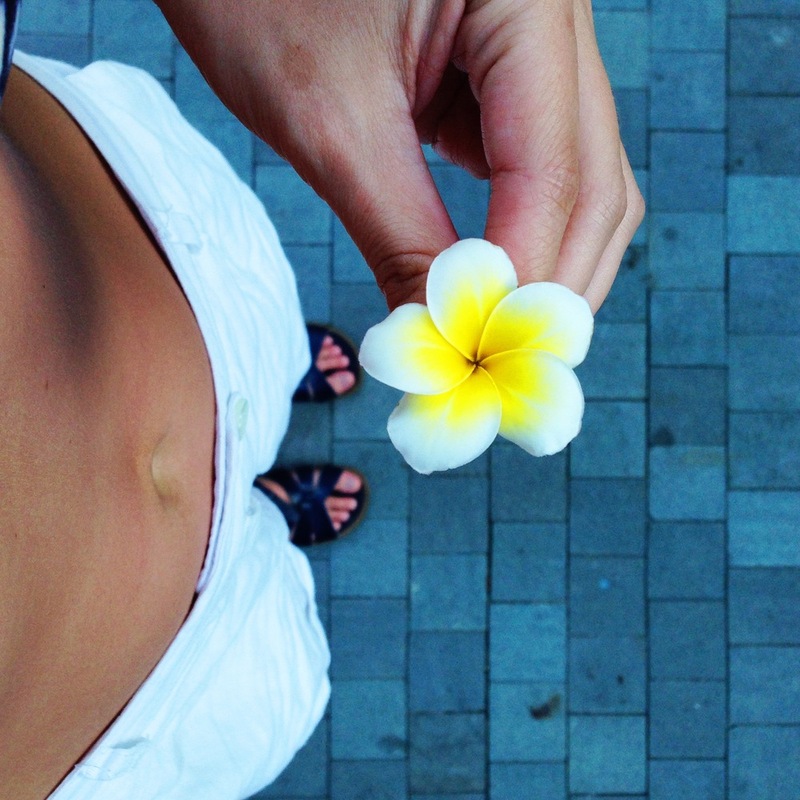 Stay tuned for the post on our day trip to Cham Island.